A couple of things today: Eben and Gareth’s Raspberry Pi User Guide is now available in full as a Kindle download from Amazon, and there is a big discount at the moment – it’s only £3.99. The paper version is expected later this month, along with other electronic formats, probably on the 21st. I’ve also got a high-res picture of the rev2 board with lots of detail from David Siepp at Farnell for you to goggle over. Not much to say here – other than enjoy! I’m going to bunk off for the rest of the day – it’s been a hell of a week. Can I ask, will RS not be selling the rev2? If they are I assume that the ‘Made in England’ will instead say something else? It’s made in the UK as Pencoed is in Wales, not England. Not at all – I’ve actually mentioned on the forums and Twitter earlier this week that everyone in RS’s queue will be getting a rev2 board. As it’s now assembled in the UK, why does the board have the “China Export – CE” stamp on it, or is that because that is where the board came from? The old Raspi has just two CE-letters (“serif” style), not the official European CE-logo. Which is a bit strange, because AFAIK the old Raspi was CE-compliant. Anyway: the new Raspi has the correct European CE-logo. And I love the blue audio connector on the new Raspi. Nice! I can see that the repositioning of TP1 should make life interesting for people with Pibow cases though. Looks like it will now be underneath the casing’s internals instead of “just” visible. TP2 as well might get hidden. Still, I’ve got a hardware revision 2 code from /proc/cpuinfo, so it’s not a problem for me! Can I also just say, I noticed C1 and C5 on my board. I hope there’s nothing that small on my Gerboard when it arrives, I don’t think I have tweezers that go down that small! They are tiny. would it be 3rd rev of the board ???? because i have rev1 and i am thinking buying one rev2 …. That is a nice offer for the book, but I think it is only available for UK customers. Let us hope that it would be available some day also in amazon.com. The Kindle edition is currently listed on Amazon.com for $6.33. Europeans (at least for the Netherlands) pay $ 9.89, which is less than a dollar short of the paper-back version. Why are digital books almost as expensive as the printed version? It should cost less to copy and distribute. These prices from Amazon.com are much higher than on .co.uk, which cannot be explained by logic. Apparently the list-price is even $21.50, if I may believe Amazon’s statement about how much I save on buying. I just went to Amazon.co.uk and the list price is £8.54, an *not* £3.99. Wast he special only for a week? Will be P5 (I think thats the new one below the GPIO pin set P1) be fairly safe to self solder given that its not populated? My Pi was shipped from Farnell on the 5th September afterbeing ordered only the previous Friday, I’m hoping that it’s a UK board! That’s a good deal on the ebook. Tempting. Shame Amazon have no way for me to buy it as a gift for other people. Amazon.com now lets you buy kindle editions as gifts for other people. There is a “Give as a Gift” button under the regular “Buy it now” one. Best to wait a week or so for the physical version, in that case. On the german amazon site the _normal_ price is only 5,15€. And the reduced price is 3,60€. This is kinda strange, because usually ebooks are way more expensive in Germany than in the rest of the world (we call it buchpreisbindung(Fixed Book Price Law?)). I think what you’re referring to is the book Meet The Raspberry Pi which was a shorter preview edition of the full Raspberry Pi User Guide book. Oh right, seems i confused those two. The Rev 2 looks great – I’ve been meaning to get a second Pi, so might just get one now. I notice that the cover of the book has a Rev 1 board on it – only just released and out of date already! :) I look forward to reading it when I get a chance. Well it’ll do for those with the current boards. Perhaps updates to the book will be pushed out by Kindle, as has been the case with a couple of other books I’ve ordered. Good news and a hopefully some nice weekend reading. Now, off with you to the Tel Aviv Arms. See if you can blag a free G&T. Raspberry Pi User Guide [Kindle Edition] .. just purchased! Great discount on the Kindle edition! Thanks Gareth & Ebden!! and the Raspberry Pi foundation of course! Certainly no Batter that is for Mars Bars and the Scots! It also doesn’t have a battery! I don’t know about Amazon but for some websites changing glaring errors can take months. Hi-res photos of both sides. Now seems a great time to order. I placed an order with Farnell late on the 04/09, it was dispatched the following day and arrived today 07/09. It is the UK branded board. I am located within the UK. The kindle book does not seem to be available in India? Any other way to get it? By now the Europeans must have noticed that outsourcing their entire production economy to the East only leads to financially ruining everyone. I’d like to see lots of companies returning their production lines to Western Europe. More jobs for us, and better quality control, better ethics, etc. Link is to Amazon inthe UK – and South Africans can’t get it at 4-Pounds. I just bought it from Amazon US for $6.60 USD. And yes I hope if they revise the book that they will push the publisher to allow updating the Kindle version. One of the great thinks I remember about the Sinclair Spectrum was that it was also produced in Europe. Thanks for sharing in public the problems you have came across to produce the Raspberry Pi (please write further about it). I learn to program BASIC in a BBC early version and then followed to learn in a Sinclair 1000 and 48k Spectrum. Thanks for the revival and keep the on with the good work! Just to clarify, this is the full version of the book right? Not the abridged version that was mentioned in a previous update. Thanks very much. Gonna’ buy it right now then! On my 10 inch table I get some huge number of pages too. It all depends on your font sizes and the ereaders mostly default to a pretty big size. This is one of the good features over using pdf, the pages are completely malleable and flowing. Please make this available this book for Hungarian buyers, ASAP. Thanks! One technical question I’d like to see answered if possible..
On many of the earlier raspis, the LAN9512 chip got extremely hot and consumed more power than the SoC itself did. Was this the 1v8 line acting weird, has it been solved in this revision? Yes this was caused by the connection between the voltage regulator and the LAN9512 Chip, and this connection has been removed. So this will not happen with the new revision. The 1V8 change will not affect the total power consumption. It may move some heat from IC3 to RG1. There appears to be a new area of copper on the bottom face of the board under the 9512 to assist with cooling it. Is this a mod that can be made to Rev 1 boards? When could be available the newer revision at the retailers, such as Farnell and RS Components? I ordered last week from Farnell and received rev 2 board today. I couldn’t resist either, so have just ordered one from Farnell. What is the point of updating the RaspBerry board all the time. I think it would be better to stick to one version and try to get some useful software developed to the board instead of updating components and other trivial things all the time. Soon there will be too much different versions of RaspBerry and nothing works anymore. All the time? One minor revision change in the first year of a beta developer board, whilst software is constantly developed in parallel. This rev fixes minor problems on the board without affecting any software (except a very minor GPIO change which won’t affect most people). Please think before posting. Even the BBC Micro and the Spectrum had many revision of their circut boards. Users were not aware of this because they were cased. Great, just ordered the book. My Pi arrived yesterday from CPC. Little disappointed that it’s a rev 1 board – I had no idea when I ordered earlier in the week that there was a sniff of a rev 2. I thought CPC was Farnell? You guys deserve a knighthood for doing all this. Well done is just not enough. It looks good! Do you know whether there will be a DRM-free ebook version available (e.g. in a similar way to O’Reilly ebooks)? Just ordered a few more pi’s from RS. Hope I get the rev. 2 board. I ordered from RS on 16th July and I’m still waiting. There are all these people on here who have ordered from Farnell and get them within a week, so I’ve ordered one from Farnell and I am going to try and cancel my RS order. We can only apologise for this Dennis. After putting links to the ‘FAQ’; ‘Wiki’; ‘Quick start guide’; and ‘Forum’ at the top of the start page of our website, we simply ran out of space for a “WTF? !” button. Nice work. Will you keep production going in China for people for people who live in that region, or just focus manufacturing at one location? Did you find away to avoid some of the high import duties on components? OK, I bought it from Google Play Books. Somehow managed (being the true numpty that I can be) to pay for the non flowing text version (which you can see is a pdf after the book is in your ‘My books’ list) – but Google promptly allowed me to cancel and repurchase the ‘flowing text epub version. So for anyone else looking for epub format (or pdf!) it can be had from Google Play store right now. For those of us who do not have iPhones, Kindles, etc., can this be had as a PDF file ? Install Calibre. Can read/convert between all the main ebook formats, available for windows linux mac. Lol… Its protected by DRM… that is just ironic… what about all the people who don’t have kindles? What’s the point on having an ebook that only some people can read? There will be other e-versions available – as well as a physical version. Just happens that Amazon (as is often the case) are first out with the thing. Plus the free readers for Windows, OSX, iOS, Android, and Windows Phone 7 and 8. Nearly didn’t put it in as I thought it might get edited. It was a well intentioned comment. Emphasising that it’s the author’s blog as if it was malicious is a little misleading. loving the book, the project is going from great to epic. I don’t want to sound like a cheapskate, but at this day and age paying £3.99 for the virtually costless transmission of a bunch of bits sounds pretty much ridiculous. I’d be much more comfortable paying that amount (or maybe more) in order to have the book released to the public on a free license (say, creative commons). Could we have a Kickstarter project for this? Surely you are paying for the authorship as well, or have I missed something? Computing at School are just putting the finishing touches to their own user guide. It will be out in a few weeks and will be free under a CC licence. It has sections on Scratch, Python, GPIO, remote access, Linux CLI etc and a few other interesting bits like GeoGebra. I think given the work done by Eben (for free) to get the Raspberry Pi into people’s hands he is entitled to earn a few pennies for writing a book in his own time. If you want a free book on the Raspberry Pi then read the Wiki. Is “bunking off” some kind of English euphemism? It payed for it self in just a few minutes by cleaning up a problem I had with a wireless adapter and some finer points of command line! Is there going to be a DRM free digital version of the book? I have nothing against the Kindle itself, but the file format is DRM locked and Amazon don’t provide (or even plan to) a Linux version, therefore you can’t actually read it on the device it is about. Where possible I buy most of my ebooks either from the publisher (Technical books), or from dependant publishers (eg. fiction books from Smashwords), which means I can read them on my Kindle, Tablet and Linux computers as appropriate. Try buying it as a paper book or one of the other electronic formats (mentioned in the article!) later in the month, if this version hurts your soul too much. I think people need to be reminded that the classic affordable micros of the 80s – Sinclair, BBC, etc. – where entirely proprietary. It’s actually amazing just how open the Raspberry Pi is, given that this was not the primary aim of the project. Yes, 700k Linux devices sold in 6 months, and bringing the idea of Linux to the mainstream. Now that IS what I call serving the Linux community, and I bet is more than you have ever done. 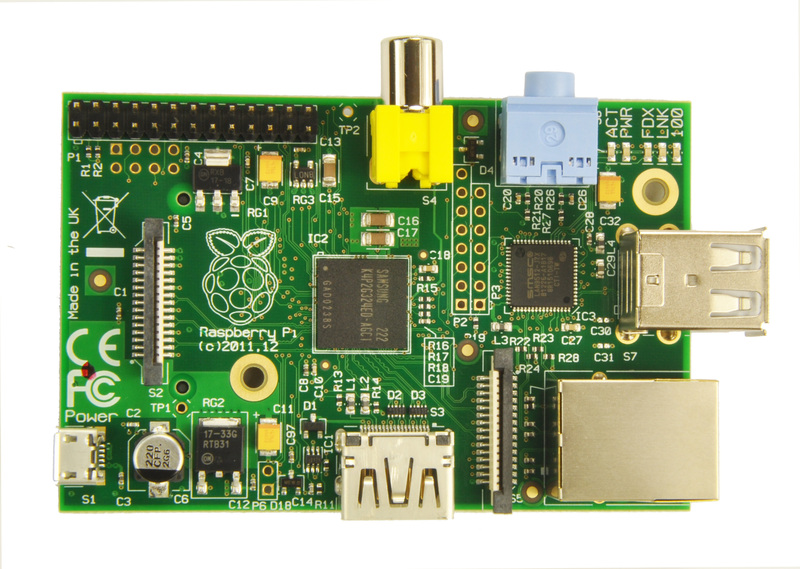 The Raspberry Pi was never conceived to serve the GNU/Linux community. It was developed to help kids find an interest in computer development. The majority don’t, and probably won’t ever give a stuff about the “GNU” community or its superiority complex. The Raspberry Pi Foundation doesn’t owe anyone anything. Yes, we got it. Thanks. I’m really impressed that you’re using the same fake email address for every post you leave here – respect. >Yes, 700k Linux devices sold in 6 months, and bringing the idea of Linux to the mainstream. >The Raspberry Pi was never conceived to serve the GNU/Linux community. >The Raspberry Pi Foundation doesn’t owe anyone anything. When I buy a product (especially a physical one), I expect the documentation for said product to be free (as in beer). When the product is even remotely related to GNU/Linux, I expect it to be free (as in speech). The User Guide should exist as a CC licensed wiki article (/wiki/UserGuide just an index/table-of-contents to the chapters/other-wiki-pages) so it can grow from the huge community surrounding the Pi. What’s wrong Eben? Broadcom not paying enough? Nickel and dime tactics never work in the long run. >I’m really impressed that you’re using the same fake email address for every post you leave here – respect. Rofl. Who cares? It’s hidden from the public and isn’t verified anyways… so why WOULDN’T I pound my keyboard? You might as well remove the field. Wow, you are really not making many friends here are you. Mainstream – this device has been getting in the mainstream press – Big news papers, TV stations (lots of the BBC for example) – that’s the mainstream bit, not the 700k (although that’s nice). GNU/Linux is NOT the only OS it boots, RISCOS works well (faster than Linux) and quite a number of people have their own baremetal code working. When you buy a product YOU can expect what you like. Just expect to be disappointed. When you buy a car, do you get the documentation for the engine management system, when you buy a washing machine, do you get the circuit diagrams? No. This THIRD PARTY user guide was written by people who spent a lot of time on and want recompense for their efforts. This stuff does NOT get written for free. People need to pay their bills. Your expectations here are, to put it bluntly, crazy. Note, that this guide was written by two people, not just Eben, so having a go at him personally about it is stupid. His salary is not relevant. If you want a guide that works to your rules WRITE IT YOURSELF. Then release it. Although it’s a big job, and I reckon by the end of it you might want to be paid for it as well. Oh, and ‘nothx’ is not a really word. I believe you mean ‘No Thanks’. It doesn’t take much longer to type, and means that people can actually understand (if not comprehend) what you are saying. Do I need a kindle to read the kindle user guide? You can download a Kindle app for a bunch of non-Kindle devices if you want; you may prefer to wait until the paper version comes out. See my other comment on the Kindle Cloud Reader, while not the best choice, it does allow it to be read through a compatible browser and says you can read them offline too. I have not tried this yet so I can’t comment on how well it does or does not work. I should add the other comment is pending moderation because it has links in it, just use your favorite search engine to find the info on the cloud reader. I hadn’t heard of the web based reader. It even works on Raspberry Pi, although not on any of the default browsers you need to install Chromium first. And it is very slow (got a couple of unresponsive script warnings, but clicking on wait and having some patience and it works). I still don’t like DRM – reminds me too much of music DRM with – iTunes vs. Windows Media where if you bought for one you couldn’t use it on the other. Fortunately most places now sell music DRM free – I can see a future where all books are the same (if you buy from the publishers many technical books are DRM free already). I bought it yesterday on the Amazon USA site with no problems. Search for “raspberry pi user guide” in Amazon. It’s at the top. Let me explain why: I ordered mine from Allied Electronics, an American distributor and they replied that I might have to wait over 12 weeks (!) for shipment. WTF!? Serve UK first, the rest of the world… er, maybe? Well, it’s not a matter of life or death: I’m doing just fine with a BeagleBoard for now and I’m curious to compare both, since the Pi is amazingly cheaper. There are no differences where you are in the world from the Foundations point of view – all are equal. However, the distributors have differing stock levels worldwide, which may be causing varying delays. That’s up to the disties. You could try another distributor. Try Newark or MCP – I think both of them have stock. Adafruit are also doing a giveaway at the moment where if you spend $350 you get a free Pi. Are you planning in translating the manual to other languages, or maybe making a simpler version for kids? For kids whose first language is English, this should be fine; I’m not sure what the publisher’s plans are, but I hope that if there’s sufficient demand and if the English version is popular enough, they’ll look into translations. I have just downloaded the eBook version of the Raspberry Pi ‘manual’, and very useful it is. I have discovered a few typos and some other possible issues. Are you interested in having them pointed out or are we on the point of no return with regard to correcting any errors? As has been said on these pages many many times before, a very big thank you to all concerned with this very worthwhile project. If you have spotted any errata, please send them to me at [email protected] – the publishers have asked me to forward any that you guys find to them. Thanks! Any news on when the Pi will be shipped with a case? Got 2 rev 2 boards here in Finland yesterday. Love the ‘made in UK’ ;). Any chance of extending the discount :(? At £3.99 It would be an instant purchase but at £8.99 I’m a bit apprehensive for various reasons. Not up to us or the publisher, I’m afraid; those discounts are an Amazon marketing thing which the publisher doesn’t get a say in – much less us! I have just spoken to Amazon UK and Amazon Spain and they tell me publisher/author set the price. With Amazon the publisher sets a list price and gets royalties, it is up to Amazon what they sell the book at. Amazon also charge extortionate data chargers to publishers too. Is the e-book also available for Kobo? I can’t seem to find it. Kobo have a larger market share in the UK, France, Germany and Canada than Amazon Kindle store. WOW the ebook offer at 3.99 didn’t last long did it? In the time it took me to transfer money into my card account the price went up to £8.99. EUR 3,99 a few minutes ago on spanish Amazon site. You are right. How can that be? I’ve just been on to Amazon UK and Spain and they both tell me the price is set by the publisher/author not themselves. That can’t be correct! It niggles the hell out of me that Spanish and German users pay significantly less for exactly the same product. I just called Element 14 as they have some listed as next day delivery down here in New Zeland, as opposed to months with RS, to confirm which version of the board it would be and the technical person I spoke to (not the sales droid) said it would be a version one and that the version two board woiuld not be available for months. So now I don’t know if i should wait for RS to get their heads out and send me the Pi I orderd in June or buy one from E14 who don’t seem to know their asses from their elbows. Has anyone in North America ordered from Element14/Farnell and received a Rev2 Pi? I’m holding off ordering one until I can get a rev2 board. I shot Element 14 an email a couple of weeks ago asking if they’re shipping to the US. They said no and that they haven’t a timeframe for when they will be shipping them out.